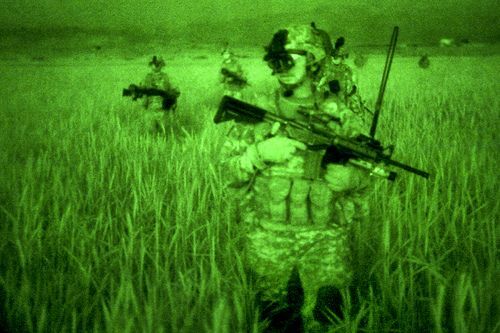 As seen through a night-vision device, U.S. Army soldiers move through grasses to an overwatch position in Sabari, Khowst province, Afghanistan, April 6, 2010. Photo via the US Army photo by Sgt. Jeffrey Alexander.